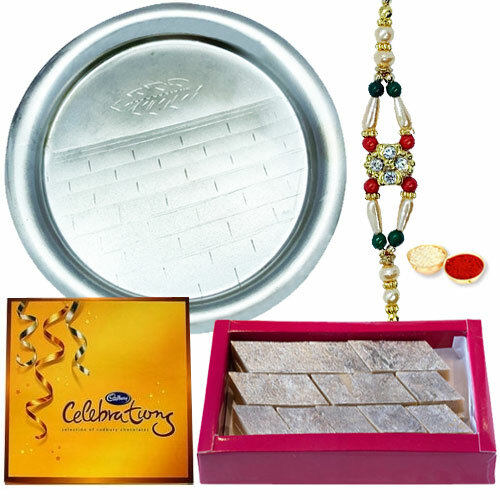 Give your little brother this lovely pack of Celebration (Weight : 117 gms.) along with a Puja Thali. You will also get with this 1 Free Rakhi, Roli Tilak and Chawal.